This unique sofa presents casual elegance for your living room setting. Resting on tall wood legs, the sofa showcases large seat and back cushions for extended comfort and support. Exceptionally comfortable and able to seat three, this sofa will transform your transitional living room space. 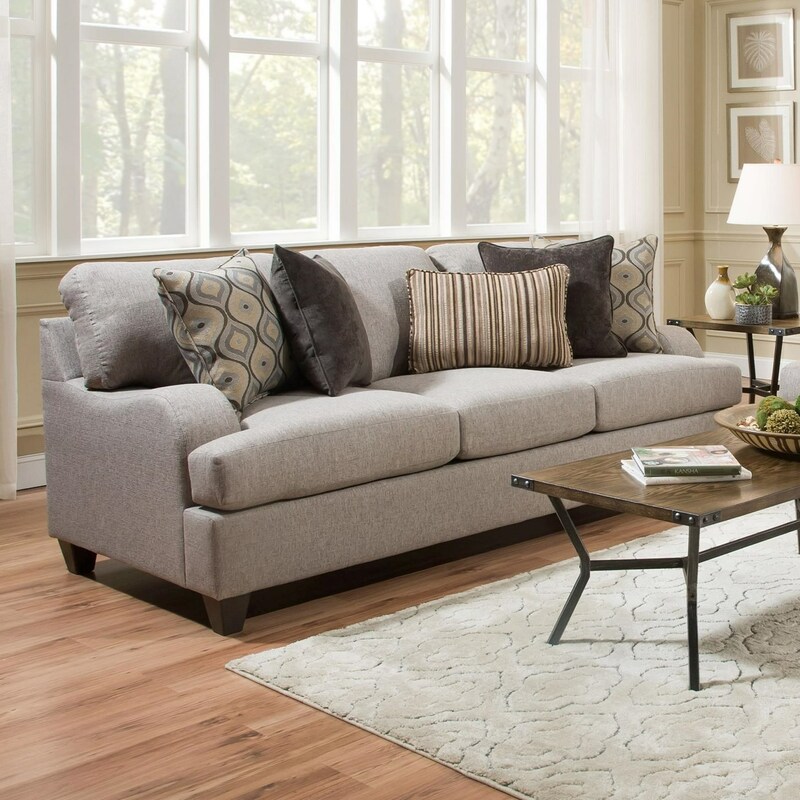 The 4002 Transitional Sofa by United Furniture Industries at Miskelly Furniture in the Jackson, Pearl, Madison, Ridgeland, Flowood Mississippi area. Product availability may vary. Contact us for the most current availability on this product. The 4002 collection is a great option if you are looking for Transitional furniture in the Jackson, Pearl, Madison, Ridgeland, Flowood Mississippi area.